Kavalan is a King Car Company distillery located at Yuanshan, in the Yilan region of Taiwan since 2005. Its first spirit came off the stills in March 2006 and December 2008 saw the distillery's first release. Jim Swan is the distillery consultant and in 2015 Kavalan's Vinho Barrique was named world's best single malt whisky by World Whiskies Awards. 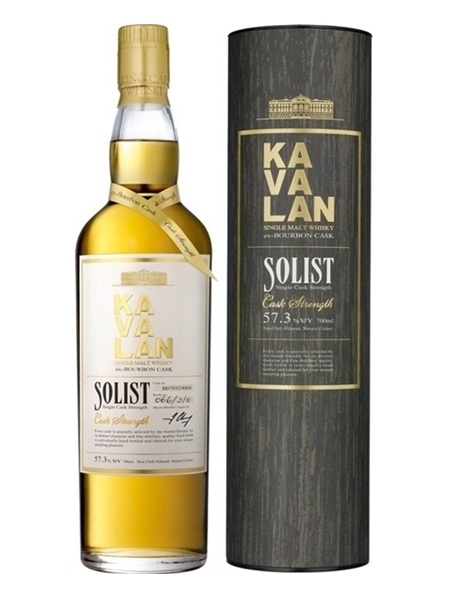 Kavalan use a range of cask types to mature their whisky. This single malt was matured in bourbon barrels and bottled at a cask strength of 57.3% ABV.